This time next week, hundreds of social workers in Kirklees could be away from their desks and offices as they strike for 24 hours. The controversial and rare move is the culmination over a long-running dispute over working conditions in the council. 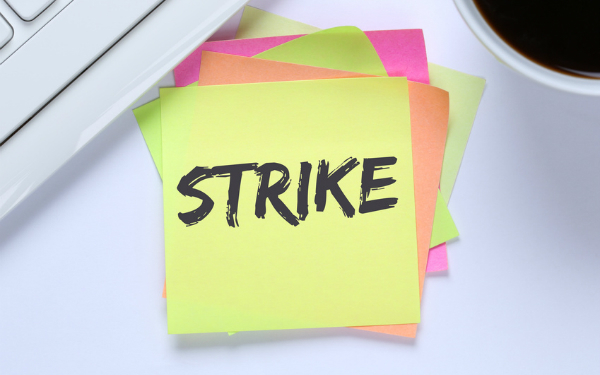 Council bosses have threatened to take legal action to block the strike, while Union bosses have said the authority is doing little to resolve key issues and staff have reached the “end of their tether”. The issues in Kirklees, identified in an ‘inadequate’ Ofsted judgement published last year, are not unique. However, it’s the lack of apparent action over the past five years that has prompted 250 union members in the council’s children’s social work teams to strike, explains Sandra Shaw, a Unison steward and social worker who represents qualified and non-qualified staff in Kirklees children’s services. .
“Members are saddened that it has come to this, but feel that they have been left with no other choice,” Shaw says. The union identified six main issues it wanted addressing; pay; unmanageable caseloads; the council’s IT system; bullying; working environments; and high dependency on agency staff. Ofsted’s inspection of Kirklees last year identified a service which had “significantly deteriorated” since its last visit, however for social workers in the council the report gave outside authority to issues they say have been present since 2011. “Serious and widespread failures” were identified by Ofsted, “inadequate social work practice and poor frontline management” was slammed and 100 cases were referred back to the local authority after inspectors had serious concerns about them. A “not fit for purpose” IT system was also criticised, which prompted the council into making a significant investment to try and fix the problem. The issues in the service were compounded this month when it was announced that the children’s services director had left the council under mutual agreement. Ofsted judgements only tell part of the story about how the deficiencies in Kirklees materialise in practice, says Unison. “Members have highlighted concerns raised by children, young people and their families around the number of social workers that have been allocated to their cases,” says Shaw. “My members have difficulties with the number of managers that they have. They feel that this results in mixed messages and differing advice on issues. Members also feel that this then impacts on the children and families they work with,” she adds. These problems stem from a failure to recruit and retain social workers. The Huddersfield Examiner published figures this week which showed as many as 450 staff in children’s services had left in the past four years. One thing that may not be helping recruitment and retention is pay. Shaw says these issues are not new, and have been raised by the Union on “countless occasions” since 2011. “This now leaves members feeling that they have no other choice but to take industrial action. Members do not do this lightly. All our members chose to work with children and families because they want to make a difference. That it has come to this shows how deeply unhappy they are with the way the council has treated them,” she says. “Members never wanted things to get to this point. They have sat in meetings and listened to management time and time again on what it is that they are going to do to address the concerns. The council has strongly criticised the strike, and claims made by the union. It has threatened to seek a court injunction to prevent the strike over concerns about how it was balloted, and questioned the mandate for a strike based on how many people voted in favour. In a statement made last week, Kirklees’ cabinet member for children’s services Erin Hill said no issues had been officially raised with the council between 2014 and 2016, “by which point we were aware of the scale of the problem and putting plans in place to resolve it”. In November, the council approved spending £450,000 on a temporary team of agency social workers to help manage the problems in children’s services. It would appear though, that whatever the steps that have been taken, change has not been felt on the frontline. “There is clear support throughout the council for our members,” says Shaw. The union is predicting a “solid” number of members taking strike action, and says 90% of staff in the council’s children’s social work teams are union members. It would be a rare occurrence to see social workers on the picket line, but with Unison already saying this could just be the beginning of more action, it may not remain rare until change is felt in Kirklees. It is so sad to hear that social workers have to walk out to make those in higher power to listen. What is it going to take for professionals to be able to do a job they love and keep safe at the same time?